BAYTOWN, TX (KTRK) -- A man is recovering at a hospital after he was stabbed inside a Baytown apartment Sunday afternoon. The stabbing happened around 12:15pm at an apartment complex at 1305 Memorial near Park Street. A woman called Baytown police and said a man had stabbed her boyfriend. When police arrived, the man was found with a deep stab wound to the upper part of the body. Officers say the victim was bleeding heavily. The victim was transported to Memorial Hermann Hospital via LifeFlight; police say he's expected to survive. 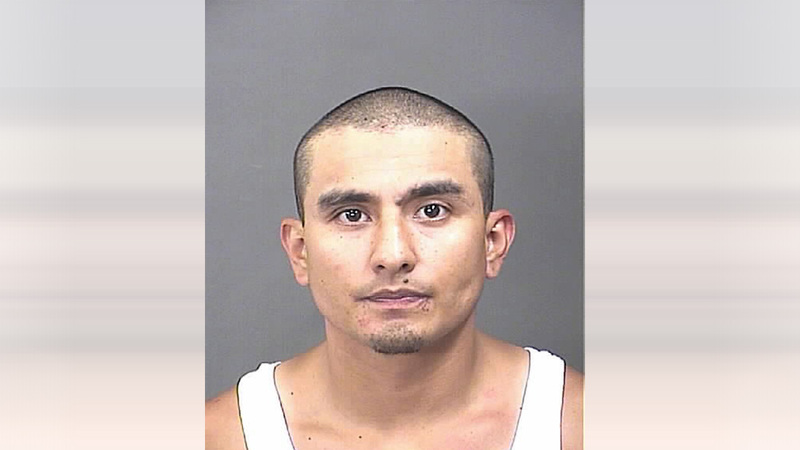 Police identified the suspect as 35-year-old Randy Pascual Chavez, the woman's ex-boyfriend. He fled the scene before police arrived, but police say he is expected to face an aggravated assault charge. A search for his whereabouts is ongoing.